William Hill Haskell Invitational 2014; Haskell Challenge & More: The 2014 Haskell Invitational Stakes, a Breeders’ Cup “Win and You’re In” Challenge Race, takes place at Monmouth Park on Sunday, July 27th in Oceanport, New Jersey. Enjoy the races and even try your hand at the Haskell Challenge, which is a Free Online Handicapping Game that takes place on race day. There will be fourteen races featured on the challenge and the challenge lasts for the one day only. 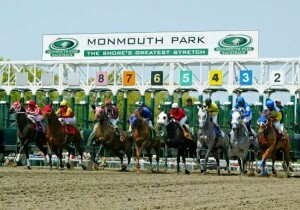 The Haskell Invitational takes place at Monmouth Park on Sunday, July 27, 2014 and will feature a handicapping contest awarding it’s winner a trip to Breeders’ Cup 2014! 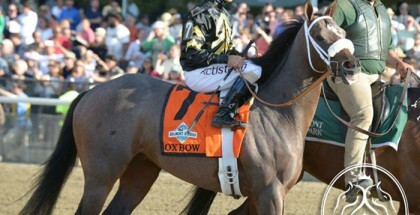 There will be one Grand Prize winner in the Haskell Challenge. The player that has the highest bankroll at the end of Haskell Day will win a VIP t rip to the 2014 Breeders’ Cup World Championship. The prize will include round trip airfare for two people, hotel accommodations for three nights, and Clubhouse tickets to the two-day Breeders’ Cup. In order to play you must be registered and have selections submitted by 11:30 AM EST on Sunday the 27th. You can enter at www.HaskellGame.com and also see rules and instructions. The second place winner in the 2014 Haskell Challenge receives a mounted framed picture of the 2014 Haskell winner and an autographed Haskell program signed by all Haskell jockeys and the third place winner will receive a Monmouth Park gift pack. 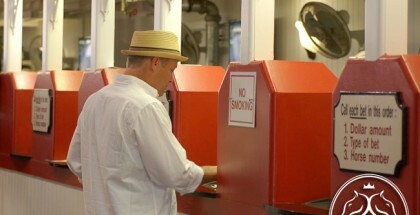 You will also want to make sure that you and your date look your best at Monmouth Park on Haskell Day. There will be a Best Dressed Couple prize and winners will receive a Lily Pulitzer $200 gift card and a Tommy Bahama $200 gift card. There is no charge to enter the contest other than admission into the park. The Gates will open at 10:00 AM, with a first post at noon. Grandstand admission is $5 and Clubhouse admission is $8, and all paid admission will receive the commemorative Haskell Hat while supplies last. For inspiration for your couples outfits look to famous fashionable celebrity couples Olivia Palermo & Johannes Huebl, Kate Bosworth and Michael Polish, Behati Prinsloo and Adam Levine, Keira Knightley and James Righton. When you study these great fashionable couples you’ll notice that they don’t go matchy-matchy. Well-coordinated dressing does not require that you dress like twins. Instead well-dressed couples often complement each other by wearing complementary colors or having the same vibe. So you can both go for a laid back casual vibe or both go fancy; or perhaps you both take on a classic look or an edgy more rocker like look. If you want to coordinate your outfits without matching exactly, try having your man wear a tie or an accessory that picks up on a color in your dress. Try out a mint dress and have your guy wear light grey or navy blue which accent mint really well. 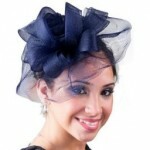 You can even wear a navy fascinator if your guy chooses a navy suit or a navy tie to pull your look together. 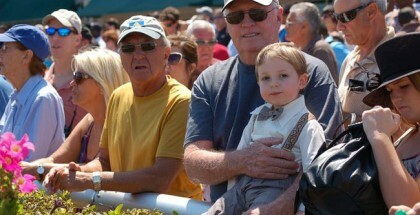 In well-coordinated outfits you’ll be sure to win big at the track and even be named best dressed couple! Post positions, odds, and picks for the $100,000 2014 Haskell Invitational.